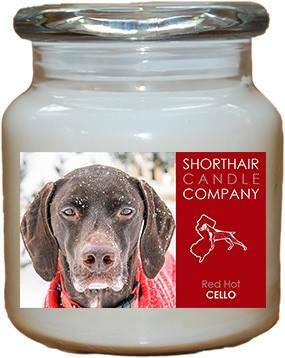 This entry was posted in Cello's Celebrations, giving back and tagged candle, Cello, charity wicks, Deutsch Kurzhaar, German Pointer, German Shorthaired Pointer, gsp, gsp rescue of nj, Pointer, rescue, soy candles, tommy d's limoncello. Bookmark the permalink. Congratulations! That is so exciting to have your face on a candle. I love it! Thanks so much! We are very excited!